Thsi months site is a new one set up in America with some nice Yamadori. Just a quick apology for lack of posts recently, a bereavement in the family has limited my time. One of the important aspects that is not adequately addressed to in Bonsai is the viewing distance. All the efforts that are put into creating a tree over the years finally culminate in a good Bonsai. While I am not getting into the aspect of what makes a good Bonsai but presuming that such a goal is achieved, brings us to the next step. How do we best appreciate the Bonsai? It is important to note that I am using the word “appreciate” and not “critique” very consciously. For me the objective of bonsai creation, all the years of blood sweat and tears is to create an object of art which is best enjoyed by appreciation and not being pulled down in the name of critique. Getting back to the point of how do we best appreciate bonsai. While there are guidelines a plenty in bonsai creation, I have often wondered what would be the best distance to appreciate a bonsai. The other aspect of Bonsai appreciation, namely Bonsai display has been more than adequately addressed by many over the years though. After much thought I feel that the best distance for appreciating a bonsai should be far enough so that the viewer get a complete view of the tree. It should not be too far so that the viewer misses out on the finer aspects of the tree but also not too close so that one gets a closer view of a few parts of the tree but not the complete view of the tree. As is understandable, the viewing distance depends on the size of the tree. So to arrive at a general guideline (I hate the word rule…) the viewing distance should be a function of the height of the tree. Like we have a girth of the trunk to the height ratio, I feel that a ratio of the height of the tree to the viewing distance should ideally be 1:4. So for a tree that is a foot tall a safe viewing distance should be 4 feet. Standing at such a distance also makes the illusion of a tree in its natural habitat more realistic. The dangers or rather disadvantages of viewing a tree too close are often unnecessary nitpicking in the name of adherence to rules. 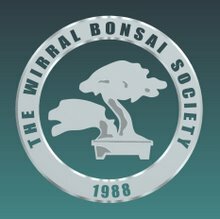 While I do believe in rules and their importance in creating a bonsai, what I am against is missing out on the bigger picture in the name of rules. Pointing out an inverse tapered trunk or an eye poking branch that blends rather well into the overall image of the tree are another such cases. Such instances of myopic rule book criticism can be avoided by viewing a tree in its completeness at a correct distance. I have also been bemused at knowledgeable enthusiasts at times examining the flakiness of branches….which would not be visible when one views the tree from a 1:4 distance. Thoughts (agreements and disagreements) are most welcome….